TOMRA sorters separate minerals based on characteristics such as color, atomic density, transparency or conductivity. Sensors examine each discrete component of material and then separate the target material using high speed precision air ejectors. For some materials, sensor-based sorting is the only practical option. For other materials, sensor-based sorting provides an alternative to traditional beneficiation methods including dense media separation, jigging or crushing. 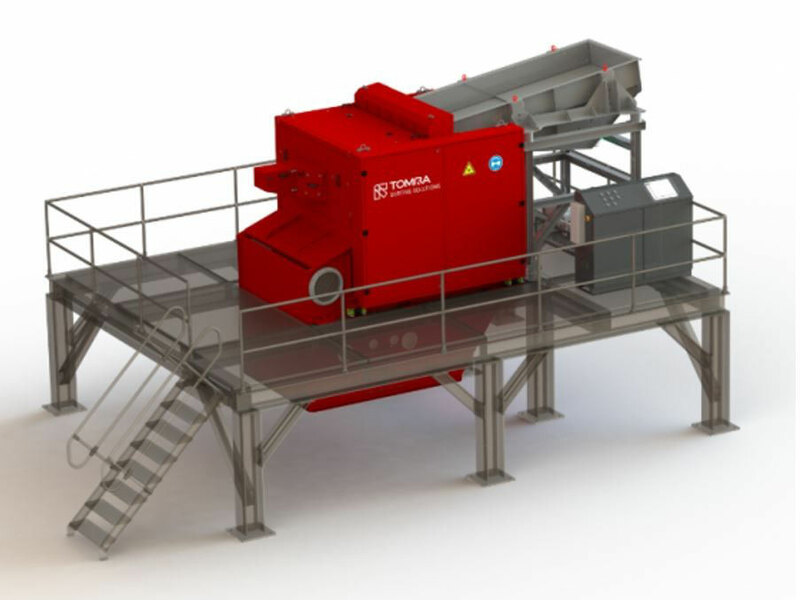 Worldwide, over 200 TOMRA sorting systems are producing energy-efficient and cost-effective pre-concentrations. TOMRA´s sensor-based solutions help to extend the life of the reserve and increase the overall value of the deposit. The video at right shows a sorting operation using an optical sensor to make a color separation. Watch closely for the insets of slow-motion video showing how first the rocks are scanned by the sensor and next how air bursts from the high speed pneumatic valves eject rocks that the sorting algorithm identified as rejects. While color sorting may be the easiest to depict in videos like this one, advanced sensor technologies such as infrared, laser, X-ray and gamma ray can be used to distinguish rocks that otherwise appear identical. 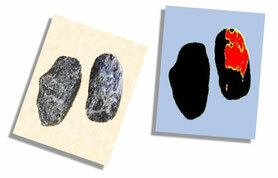 In the example shown below, this technology reveals significant differences in mineralogy that are impossible to discern visually. TOMRA’s newest innovation is its patented laser sorter. While methods such as optical sorting or X-ray sorting are quite effective, in certain applications, such as the sorting of quartz or rock salt, these methods cannot reliably discriminate between “good” and “bad” rocks. That’s where the laser comes in. 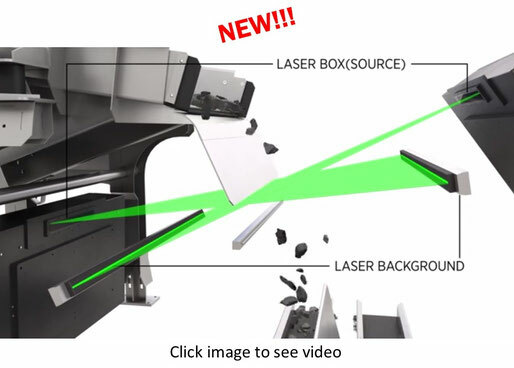 TOMRA Sorting has recently introduced an all new sorter that uses a revolutionary laser scattering technology to scan each individual rock and determine if that rock meets product grade criteria. By using a laser to detect varying degrees of translucence in the ore being sorted, TOMRA laser sorters achieve unprecedented levels of sorting accuracy. This leads to improved product purity and recovery efficiency. In one quartz sorting application, the TOMRA laser sorter recovered 30% more product from ROM ore as compared to a color sorter!